Last week Ida Arendal Jørgensen and Pernille Friis from Danida Fellowship Centre visited Ghana together with Annette Skovsted Hansen and Erik Skov Madsen of the Consultative Research Committee, as well as Mike Speirs from the Ministry of Foreign Affairs. For the first time since the funding window for research in growth and transition countries (Window 2) was initiated with the 2017 application round, two Window 2 research projects were visited. These two projects are linked to the Strategic Sector Cooperation between the Ghana Maritime Authority, Ghana Ports and Harbours Authority, and the Danish Maritime Authority on the maritime environment in Ghana. 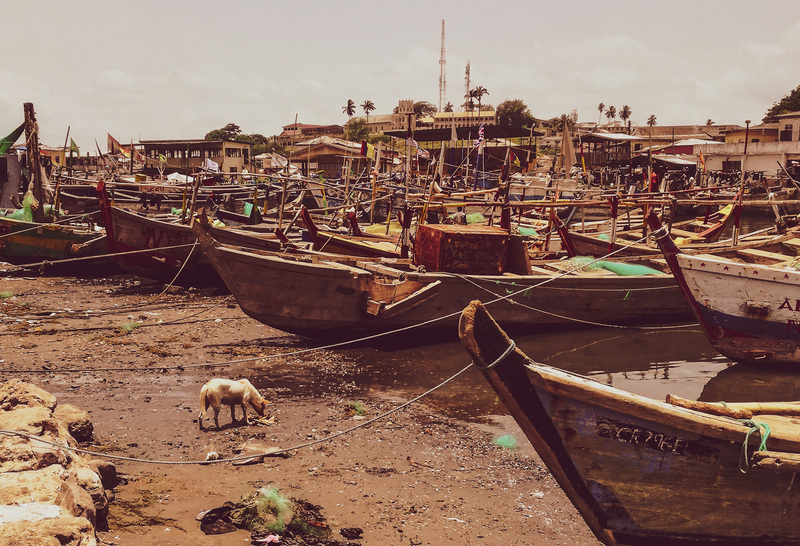 The project visits provided an opportunity to experience the field sites of the two research projects – and thereby two very different ports in Ghana: the port of Elmina and the port of Tema. The research collaboration project “Research-based management of Gulf of Guinea (HOTSPOT)” started up in 2018. The overall aim of the HOTSPOT project is to contribute to the development of monitoring, management and legislation of marine and maritime pollution in the Gulf of Guinea. The visit included participation in a lecture on Fisheries Management, a stopover at the laboratories, before going to the fish market near the port of Elmina. 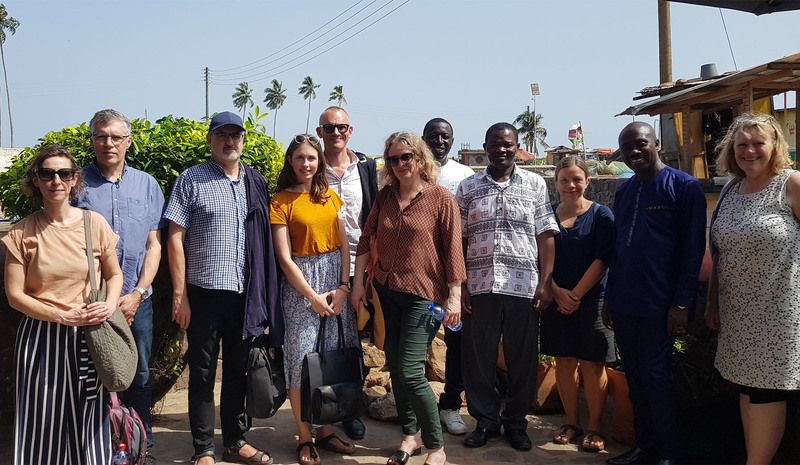 During the visit, the Danish project coordinator, Torkel Gissel Nielsen and members of the research team from the Technical University of Denmark and Cape Coast University provided interesting and useful insight into the challenges within coastal management in Ghana and how the project will contribute to addressing these. The research project “Port Efficiency and Public Private Capacity (PEPP)” is initiated this year. The PEPP project aims to map and improve approaches to Capacity Development for the maritime sector in Ghana in order to enhance the potential of the maritime sector to drive Ghana’s economic growth in a sustainable manner. At a meeting at Regional Maritime University, the project coordinator, Annette Skovsted Hansen and the Ghanaian research team members presented the project objectives. The meeting was followed by a guided tour around the port of Tema and a visit to the Ghana Ports and Habours Authority control room. 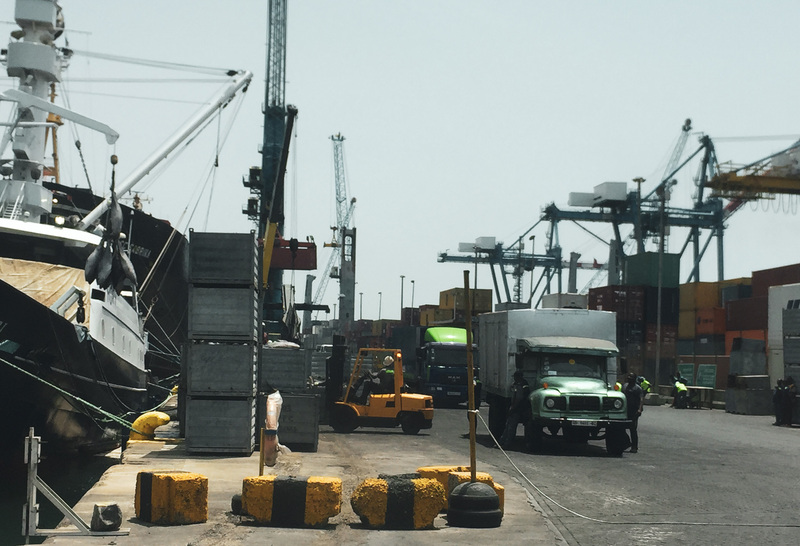 The tour provided a good impression of the activities surrounding the ships, containers, and trucks in one of the largest ports of the Gulf of Guinea. Last week Denmark and Ghana entered into the second phase of the maritime sector cooperation to continue building capacity and strengthening framework conditions for the maritime sector in Ghana.